PP-LA serves women, men, families, and communities all across Los Angeles. Founded in 1965, it diligently and comprehensively, delivers high quality, convenient and affordable patient services, education and advocacy. The organization serves immigrants, people of color, LGBTQ communities and people of all faiths. Join us as we learn about this remarkable organization and its work providing healthcare and support – for all who need. 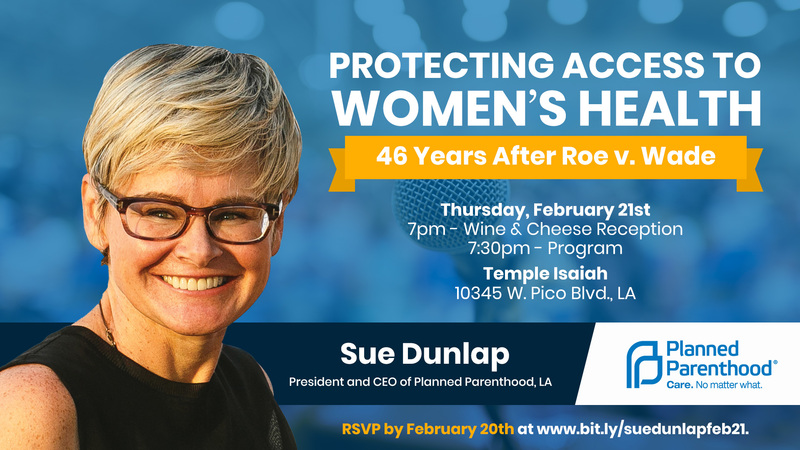 MUST RSVP by Wednesday, February 20 at 5pm.